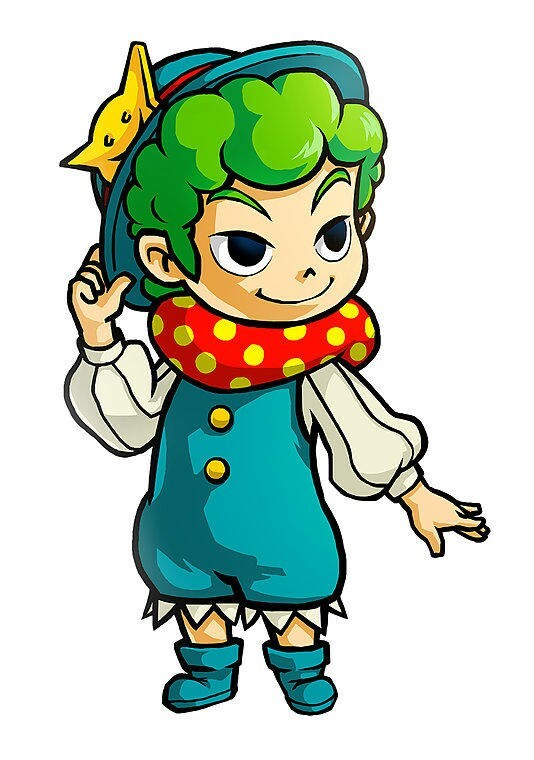 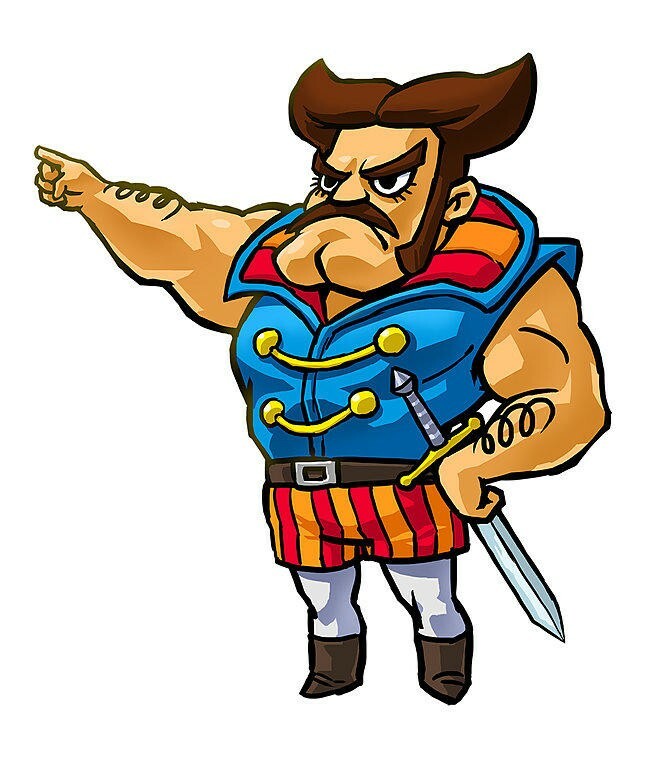 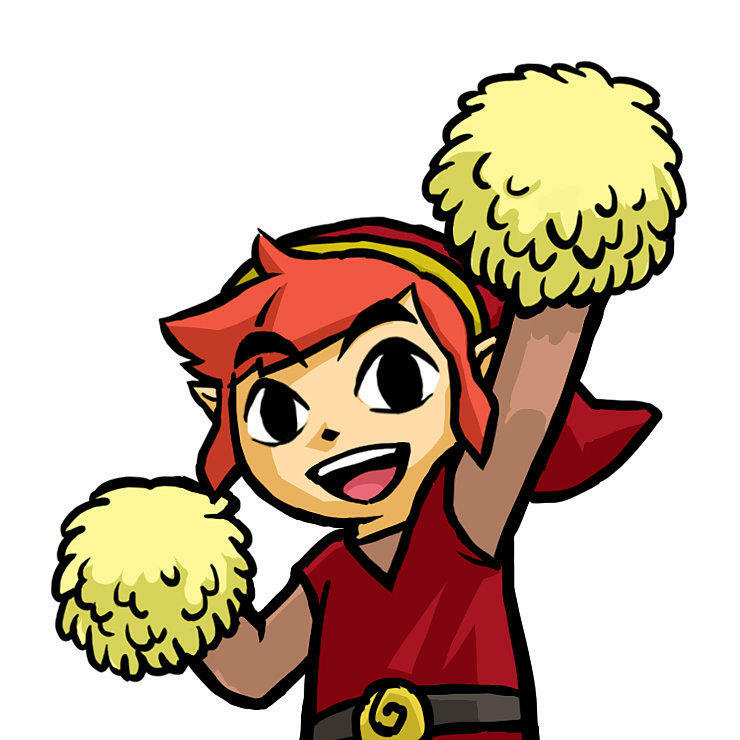 If Nintendo is aiming for The Legend of Zelda: Tri Force Heroes to be the goofiest, most off-beat entry in the series, then it is doing a wonderful job portraying it as such. 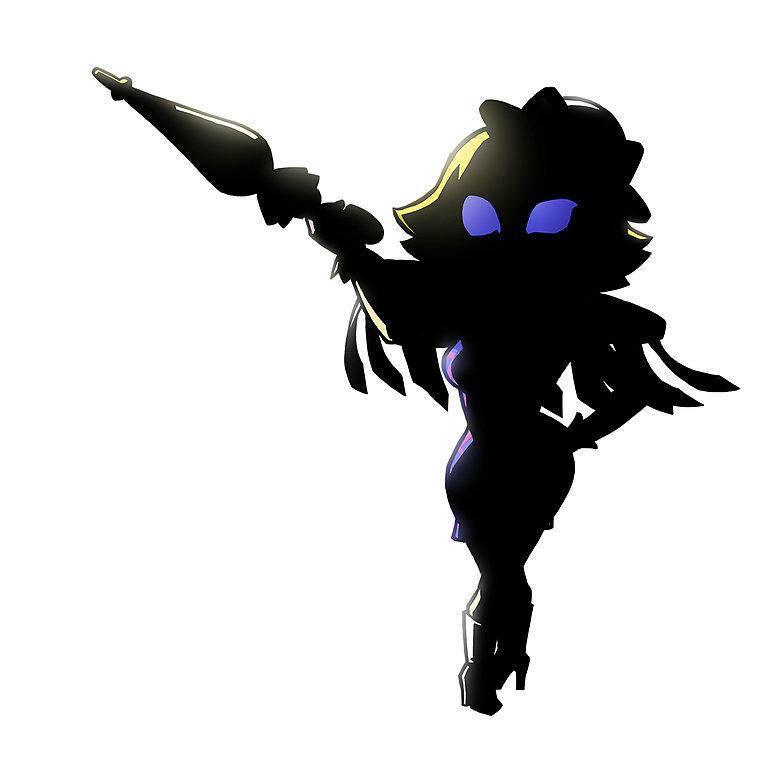 The Japanese gameplay footage released last week was already strange enough, but get a load of these character arts. 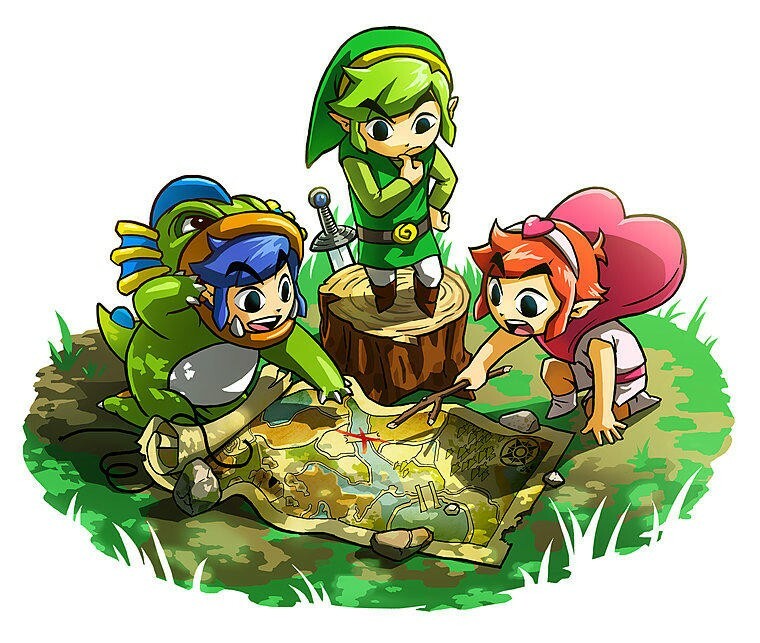 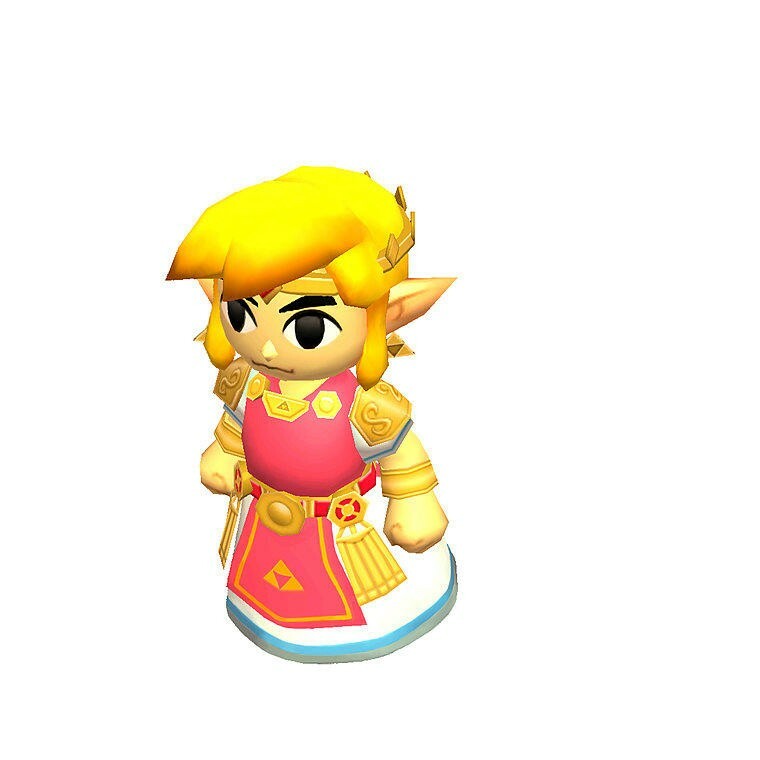 The trio of colored Links are cut from the cloth as Wind Waker’s Link, and they are a bit standard except for the color of their hair. 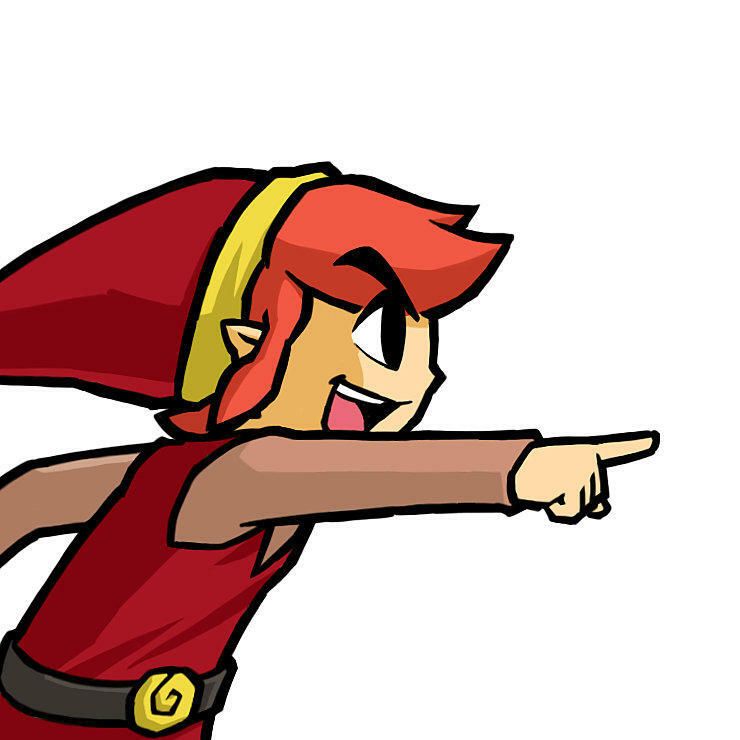 It is the goofy faces they’l be meeting on their journey though who lead me to believe this will be funnier than other Zelda games. 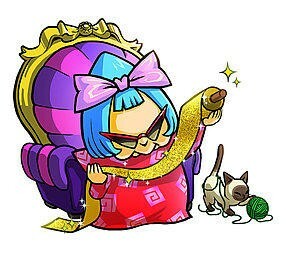 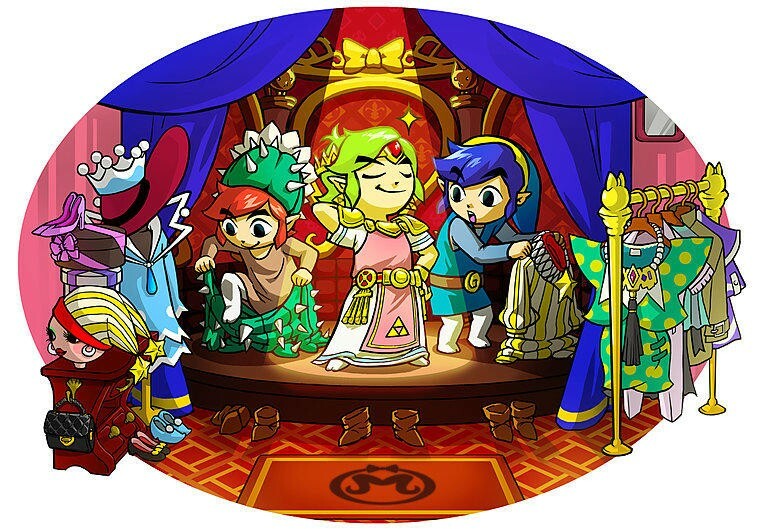 The glasses granny, the mime princess, the whiny king; each of them falls more into Mario & Luigi RPG or Katamari Damacy territory rather than the normal majesty we come to expect from The Legend of Zelda. 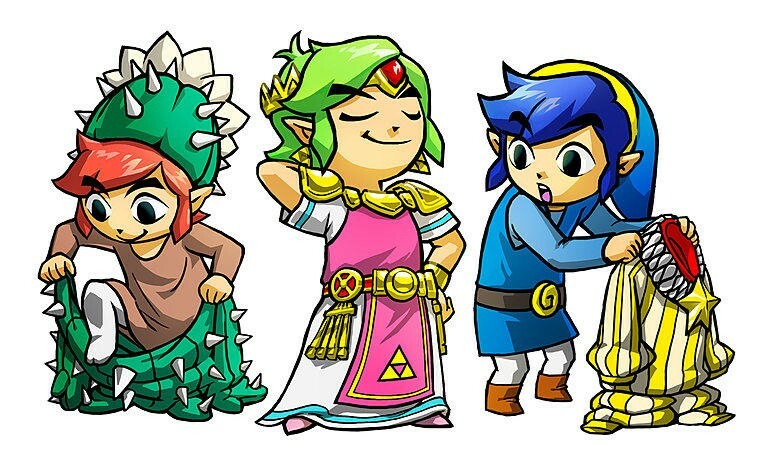 What’s more fun though is that these three plain-cut Links will be able to dress up in a huge assortment of gowns and costumes. 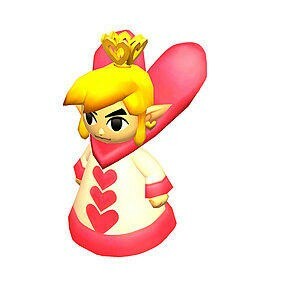 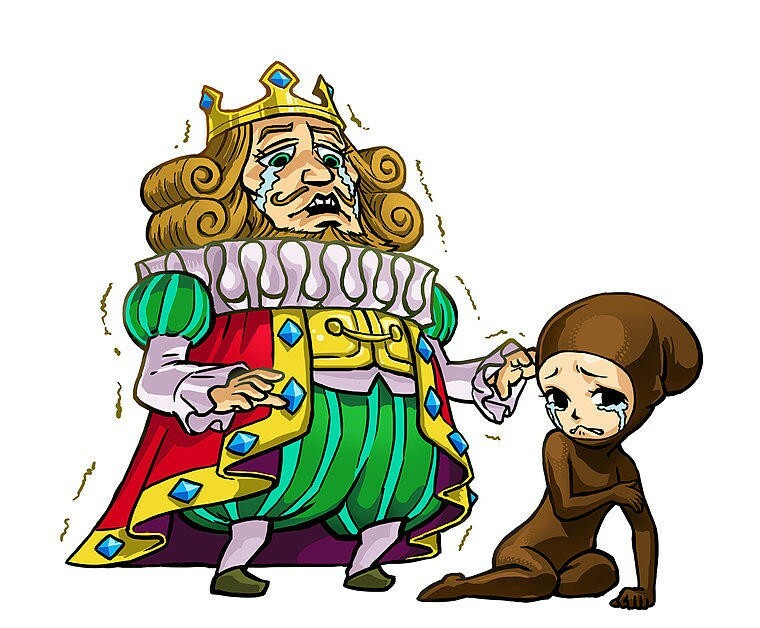 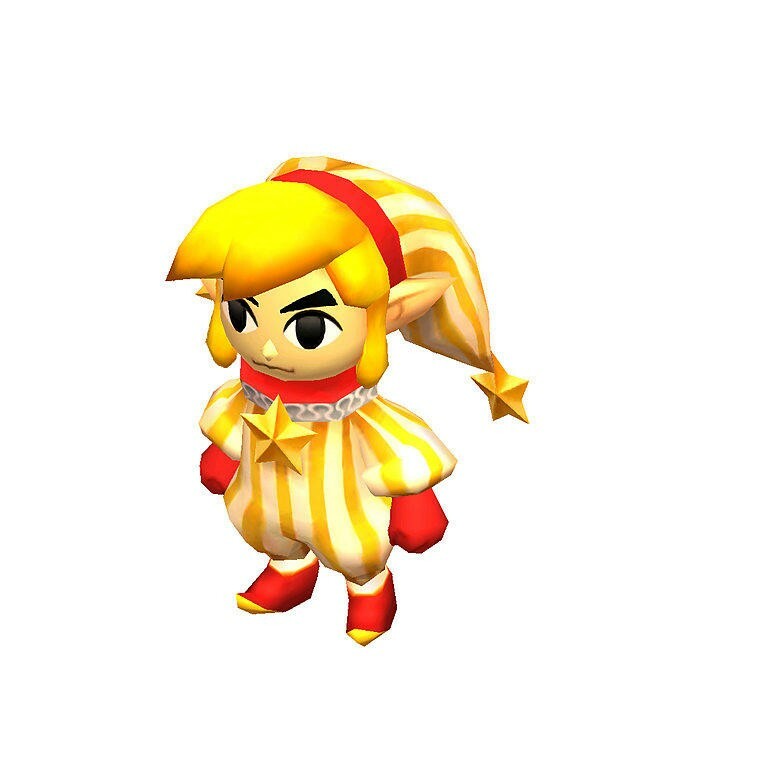 Everything from Tingle’s clothes to the Princess Zelda’s dress, each of these grant a power that they will need on the path, effectively making Link the new Kirby. 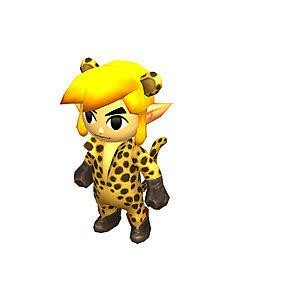 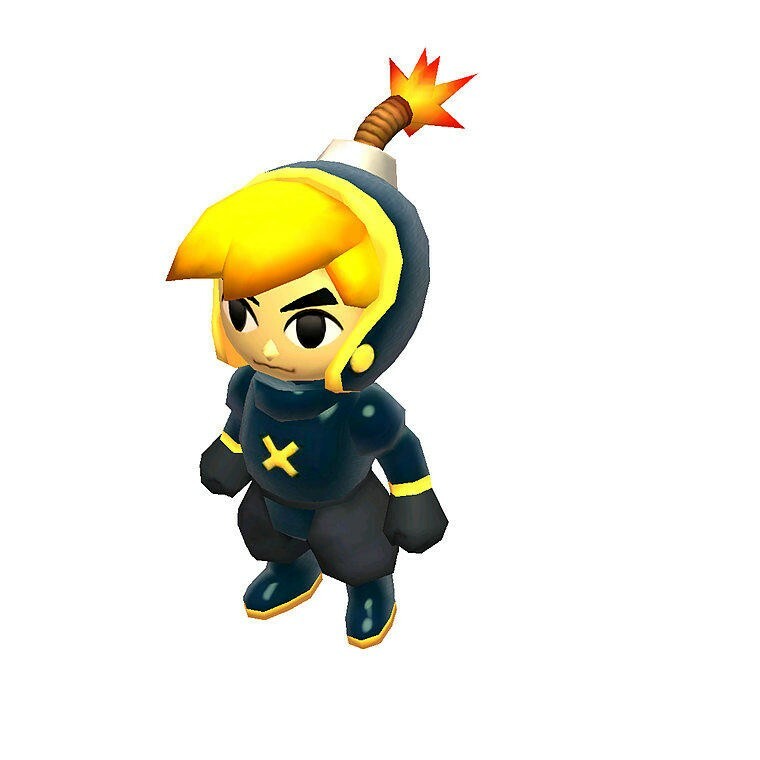 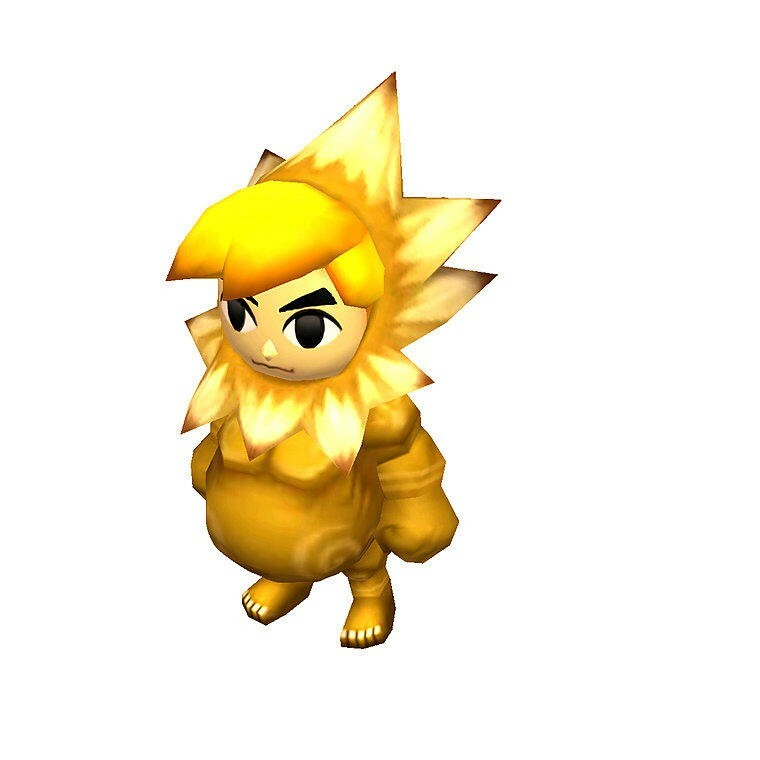 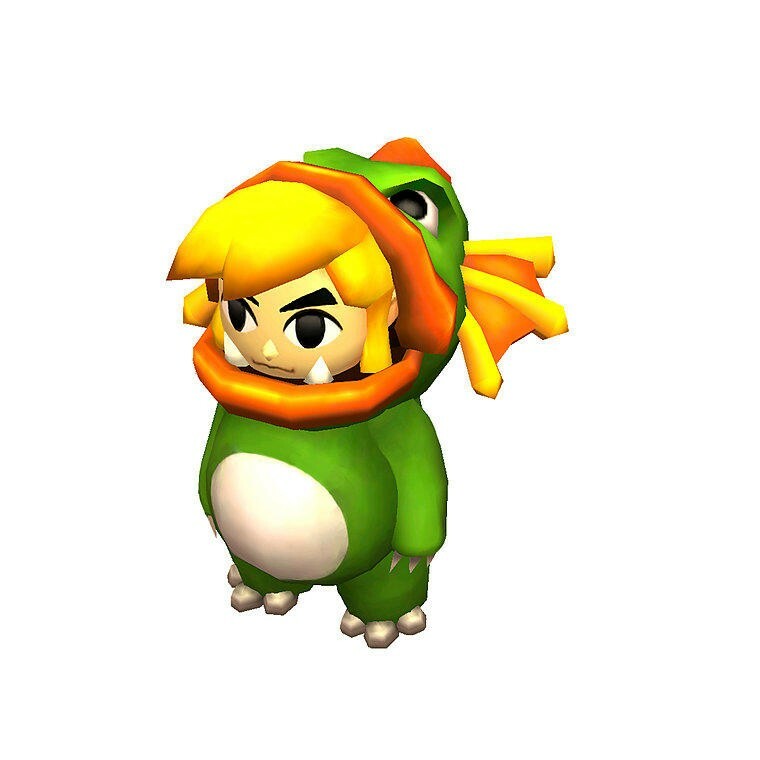 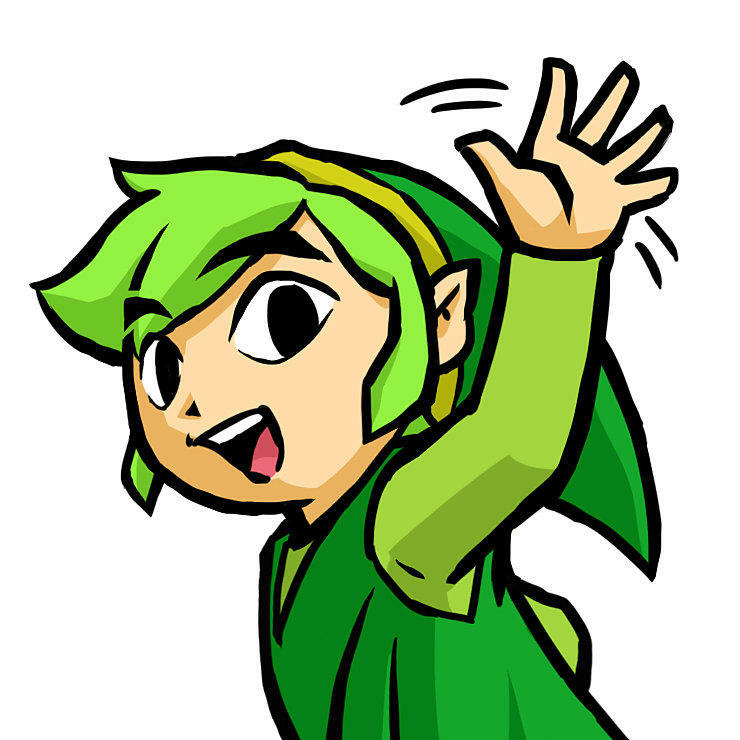 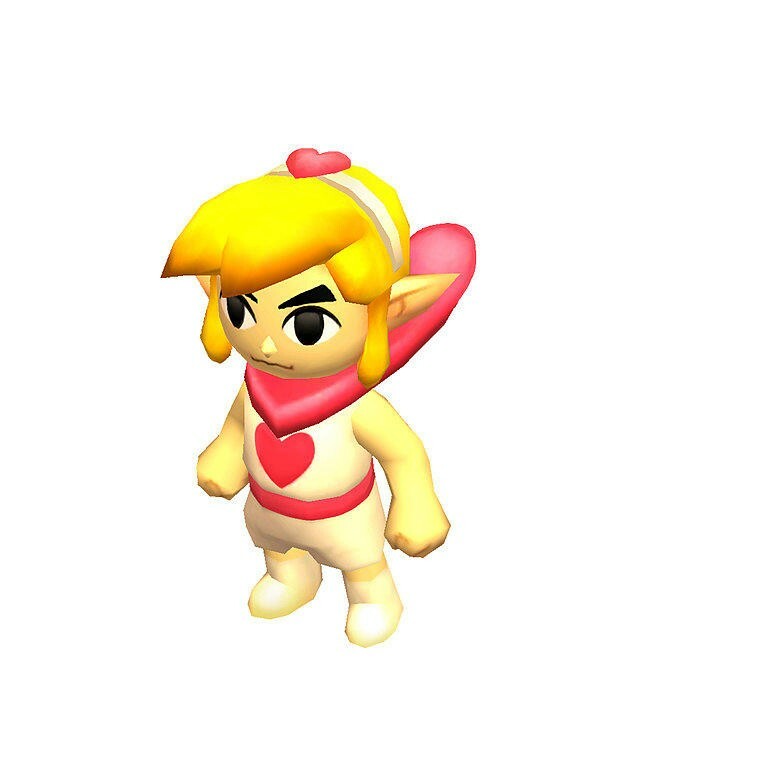 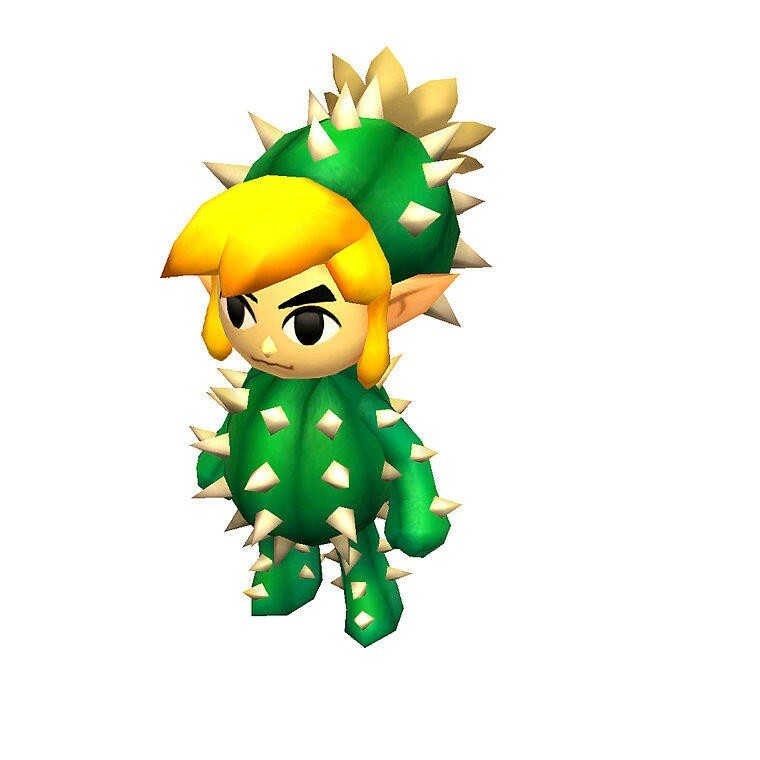 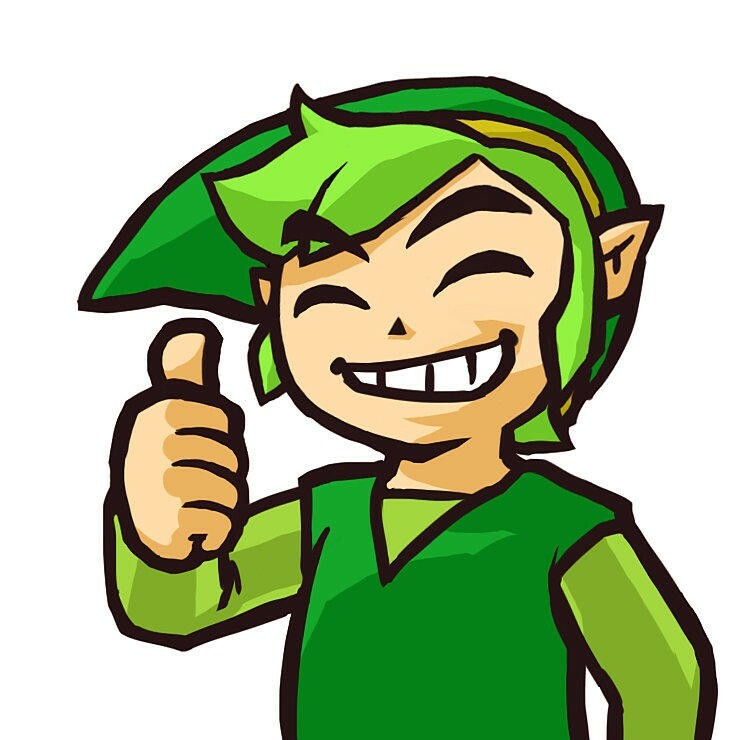 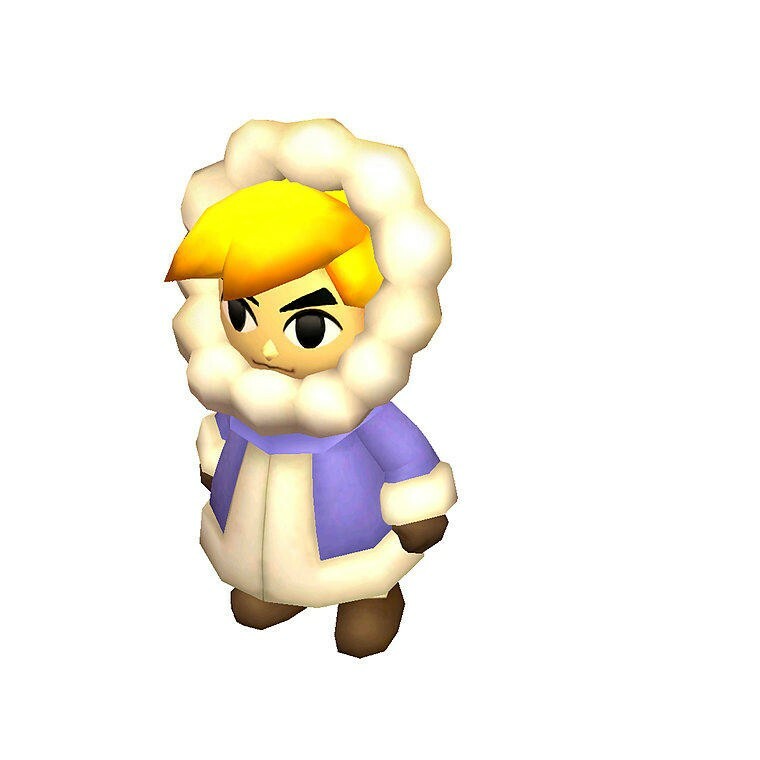 My favorites are Cactus Link and Eskimo Link, but they are all adorable in their own way. 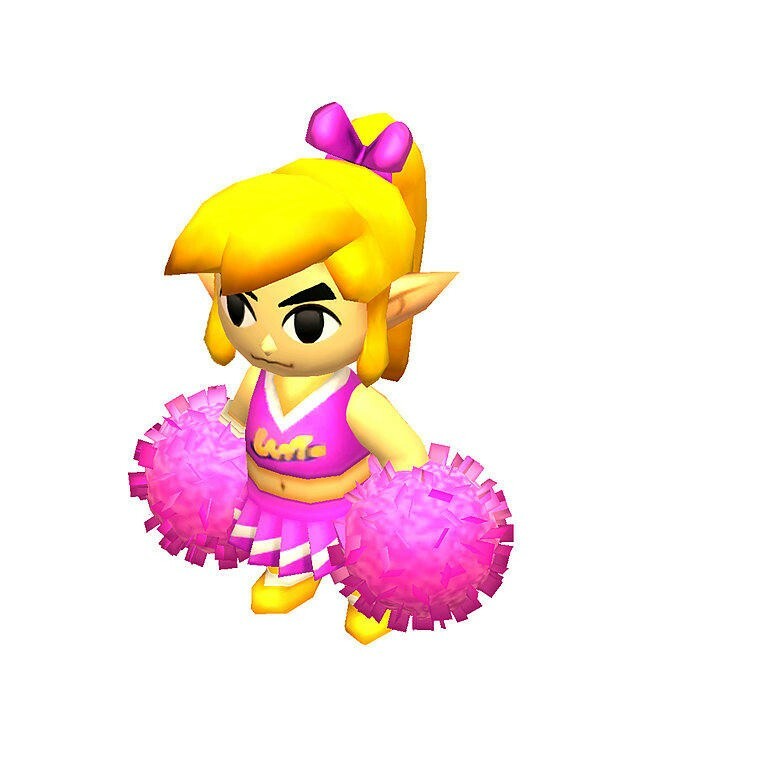 Who can say “no” to Cheerleader Link? 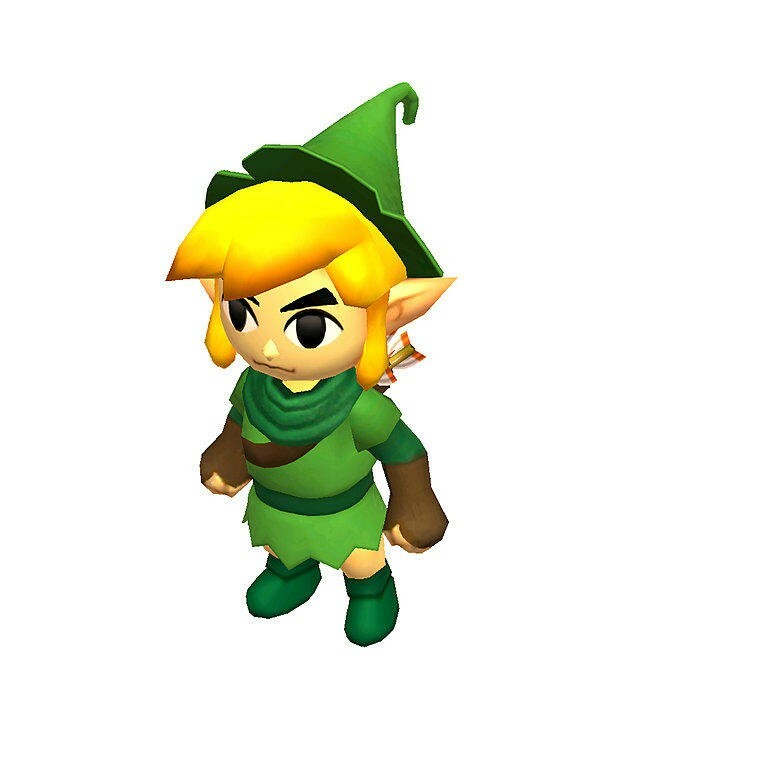 And it’s also worth pointing out that the blonde hair used in the character model points to this Link using the same assets that were used in A Link Between Two Worlds. 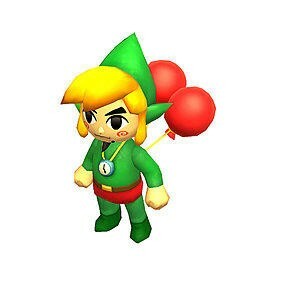 So in gameplay, he’s the Link to the Past Link. 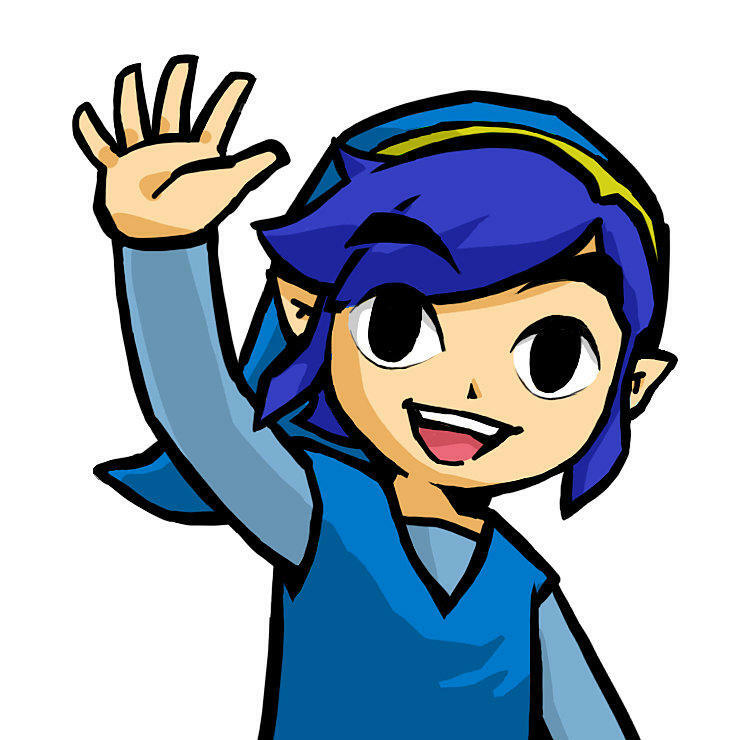 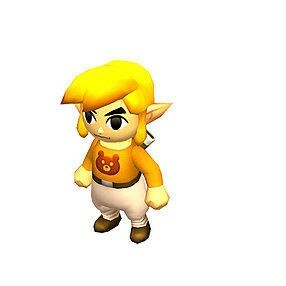 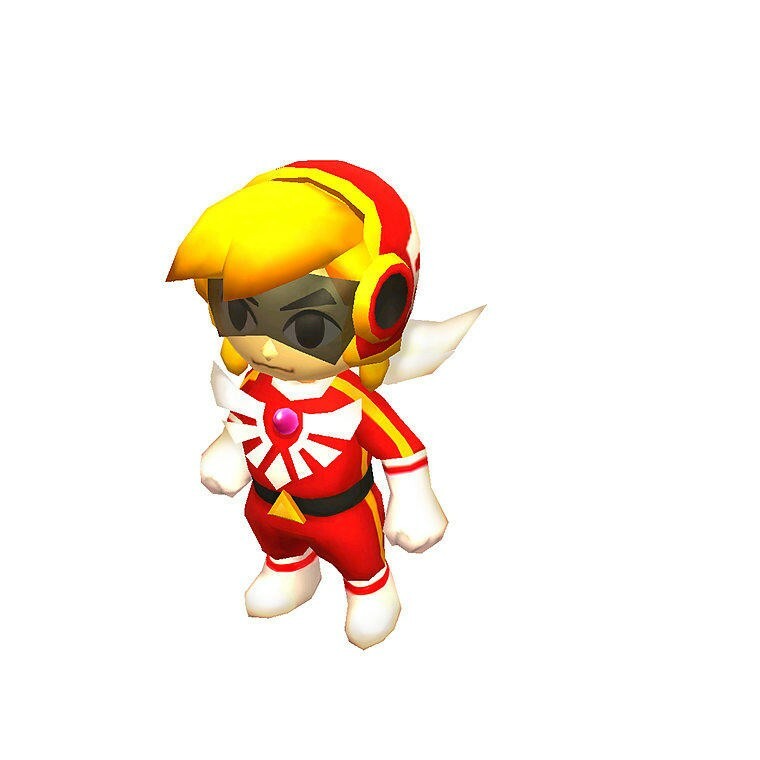 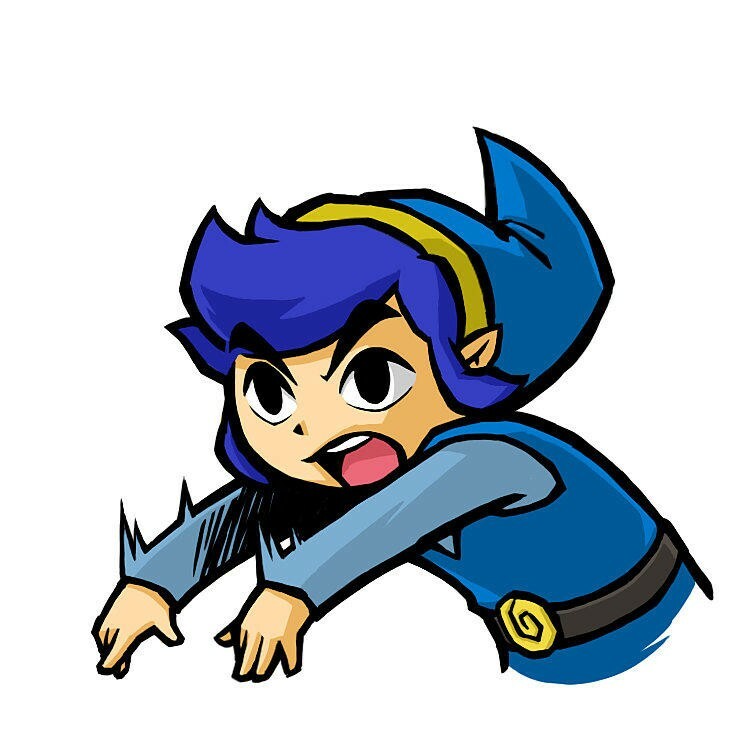 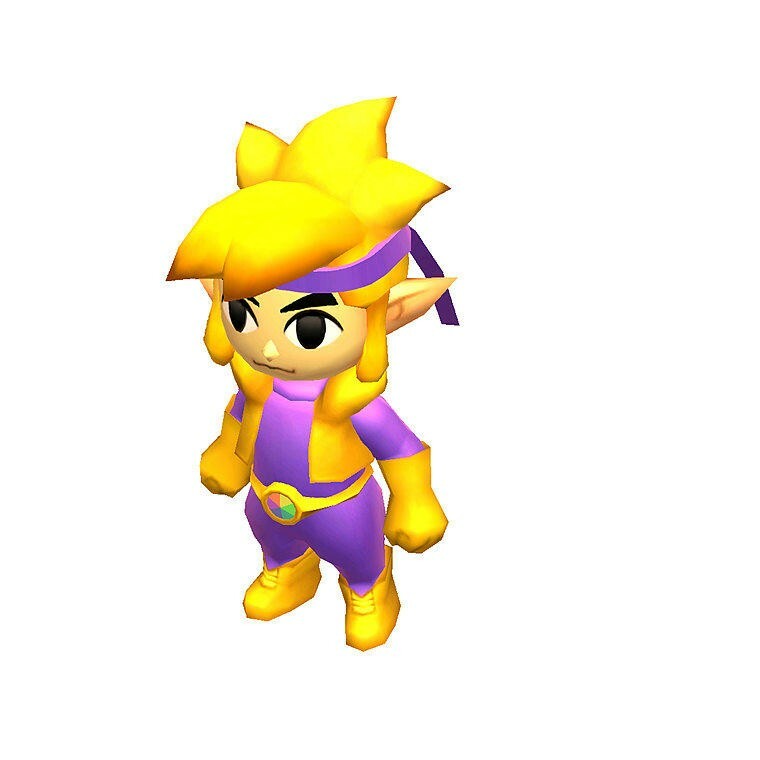 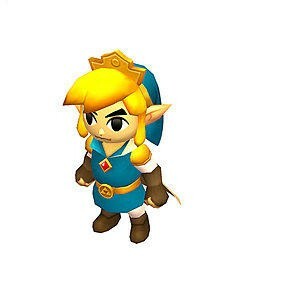 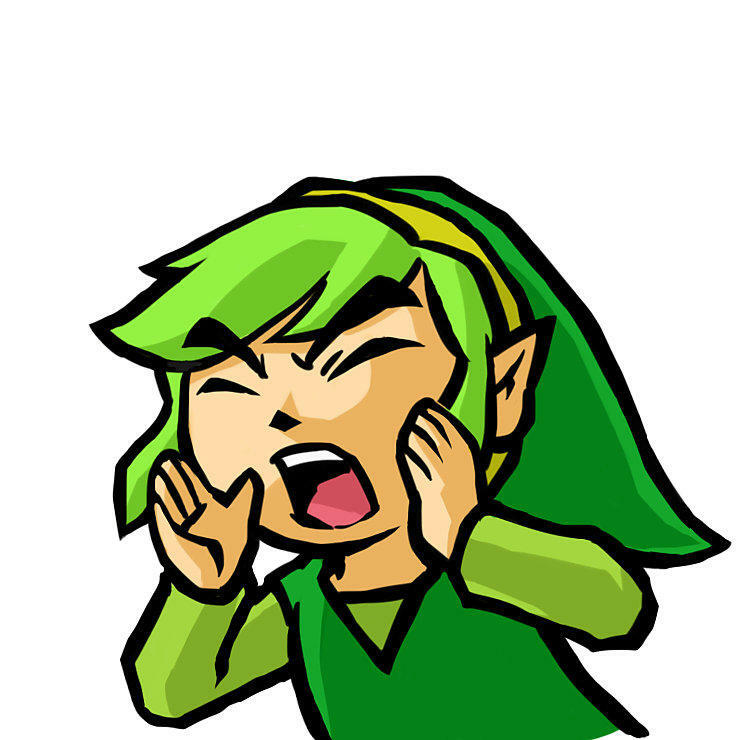 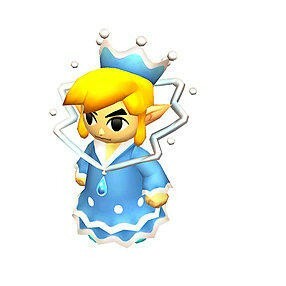 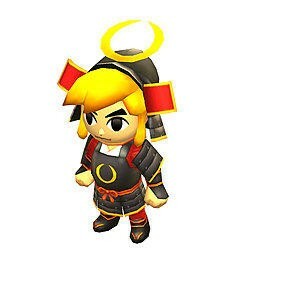 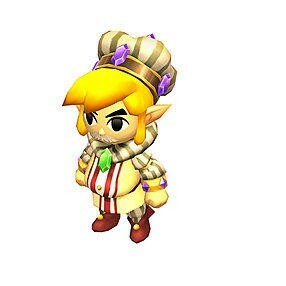 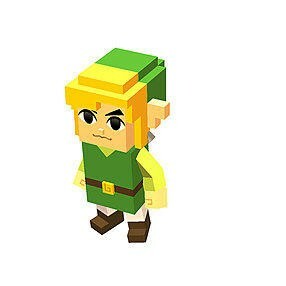 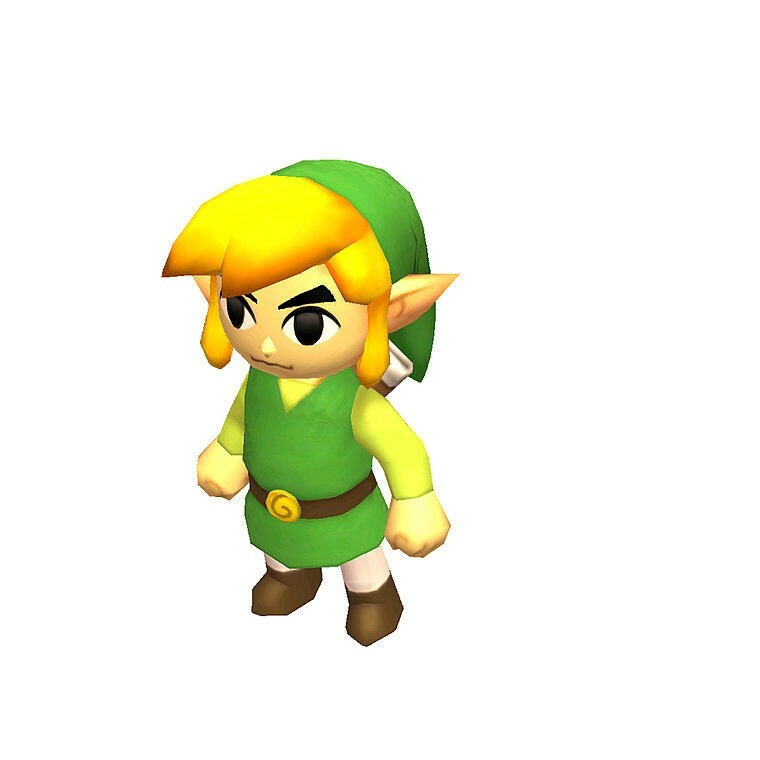 In all of his character art though, he’s Wind Waker Link. 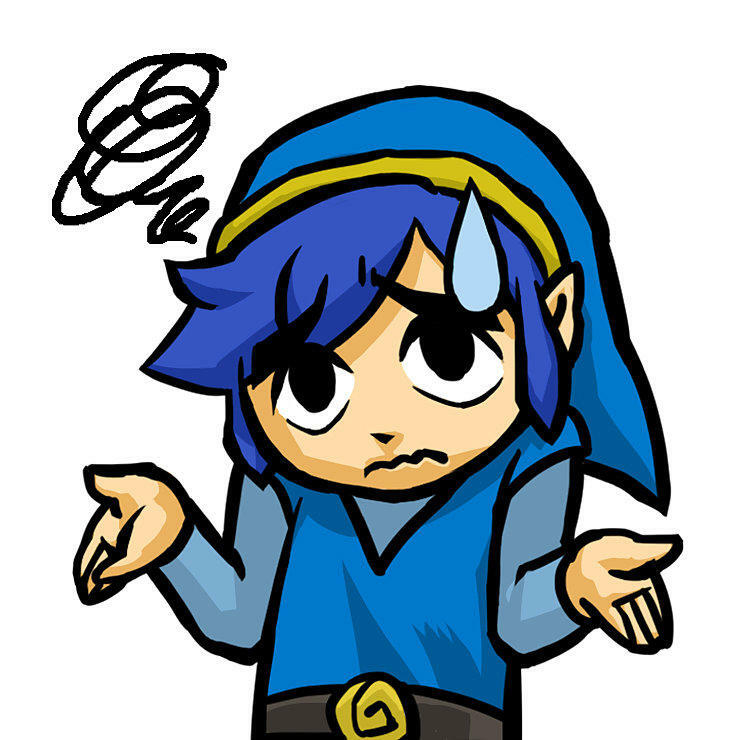 Time conundrum!! 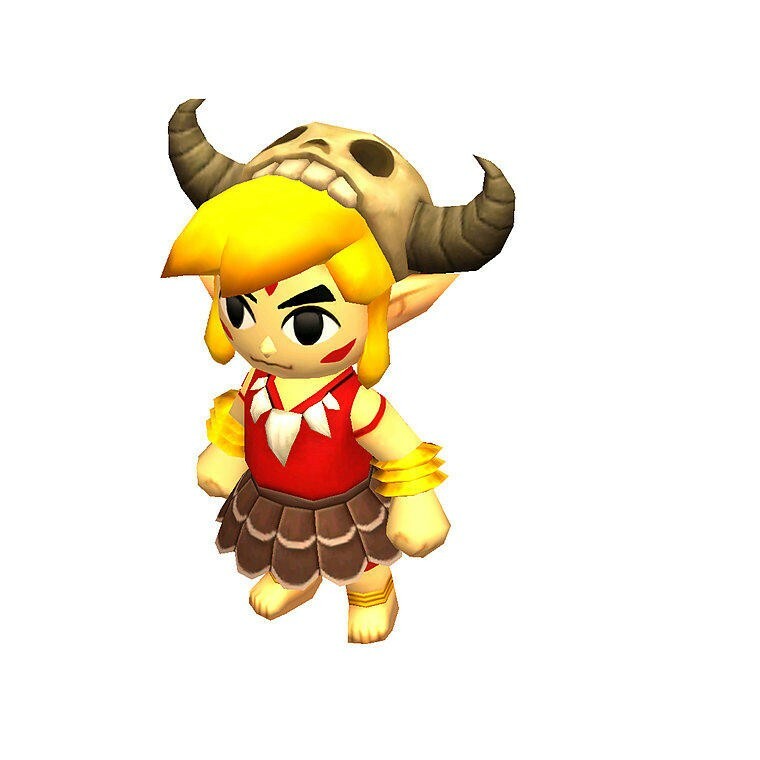 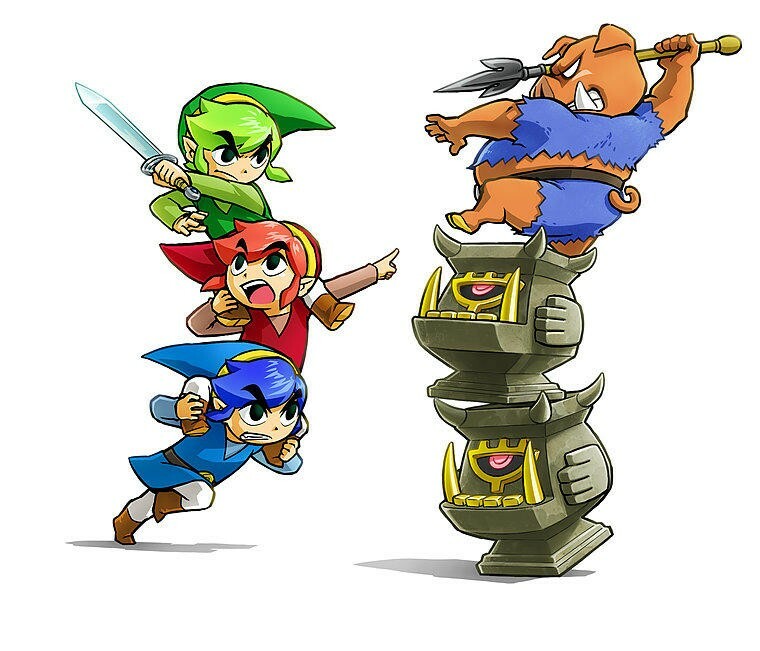 The Legend of Zelda; Tri Force Heroes will release for the Nintendo 3DS on Oct. 23.